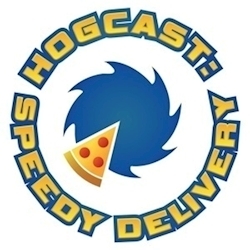 Buy Hogcast: Speedy Delivery a Coffee. ko-fi.com/hogcast - Ko-fi ❤️ Where creators get paid by fans, with a 'Buy Me a Coffee' button. The number one independent Sonic and pizza podcast in the world. Your hosts Russ Walsh and Alan Black serve up piping hot wisdom about all things involving the best game franchise and best food to ever grace this green Earth. Grab a slice of this artisanal audio content. Secured Payments. Support goes to Hogcast: Speedy Delivery's account. Upgrade Hogcast: Speedy Delivery to a yearly Gold Membership with a one-time payment.